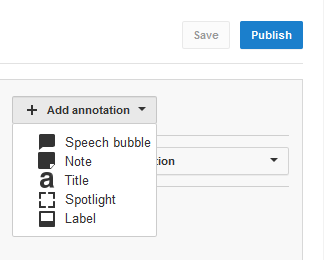 In my last post on Misi forum I was writing about adding annotations to your YouTube video. Today I'm writing about types of annotation that you can choose. Annotations are clickable text overlays on YouTube videos. Annotations are used to boost engagement, give more information, and aid in navigation. Speech bubble: for creating pop-up speech bubbles with text. Note: for creating pop-up boxes containing text. Title: for creating a text overlay to title your video. Spotlight: for highlighting areas in a video; when the user moves the mouse over these areas the text you enter will appear. Label: for creating a label to call out and name a specific part of your video. It's best to make annotations secondary to the video and minimally intrusive.